← WIP Thursday: A new project! This week I’m going to share about what’s on the wheel rather than the needles. 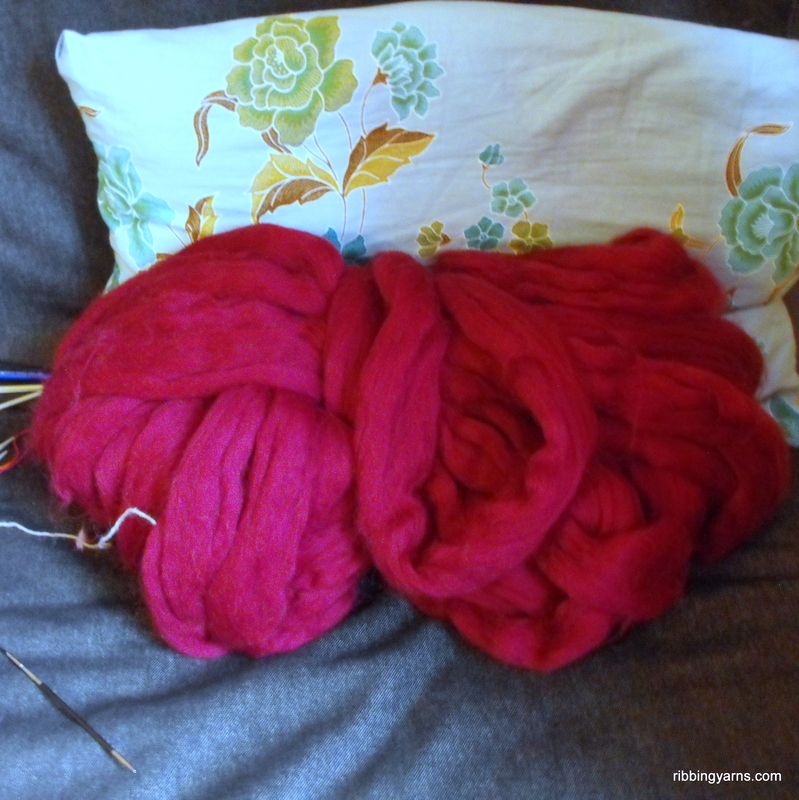 I’ve started working with the massive 500g ball of merino fiber for my mum’s christmas handspun. She picked out this gorgeous dark red shade of merino top from Adelaide Walker, hopefully enough for her to knit a cosy sweater or cardigan. It feels like I have a pink sheep living in the flat! I’m spinning it as a single ply of roughly 4ply weight. 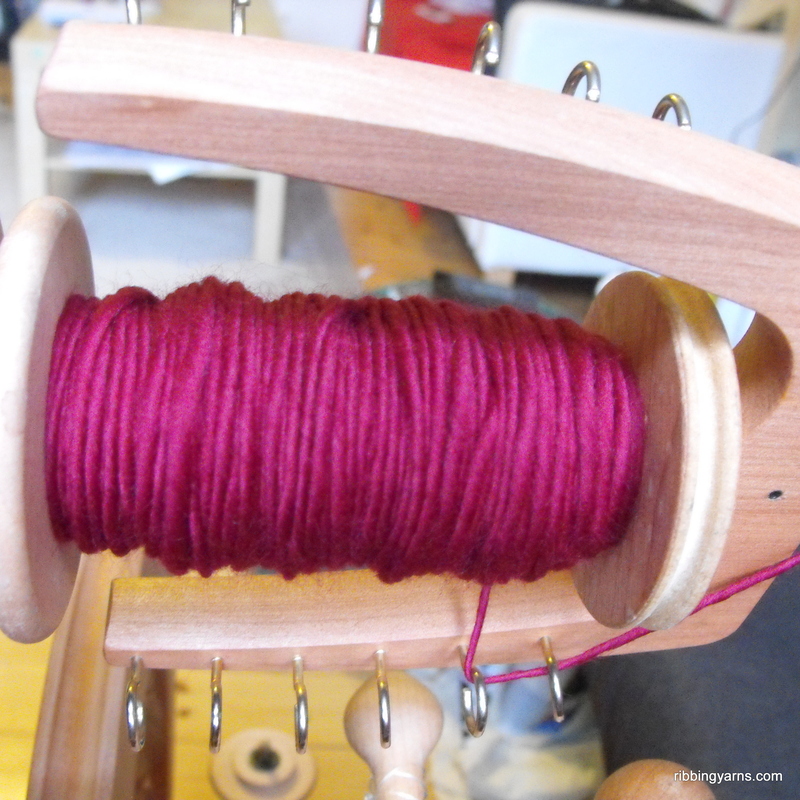 It is spinning up much quicker than I anticipated and the fibre is lovely to work with. After the single yarn is spun, the twist needed to be set so it didn’t all unravel messily in my hands. 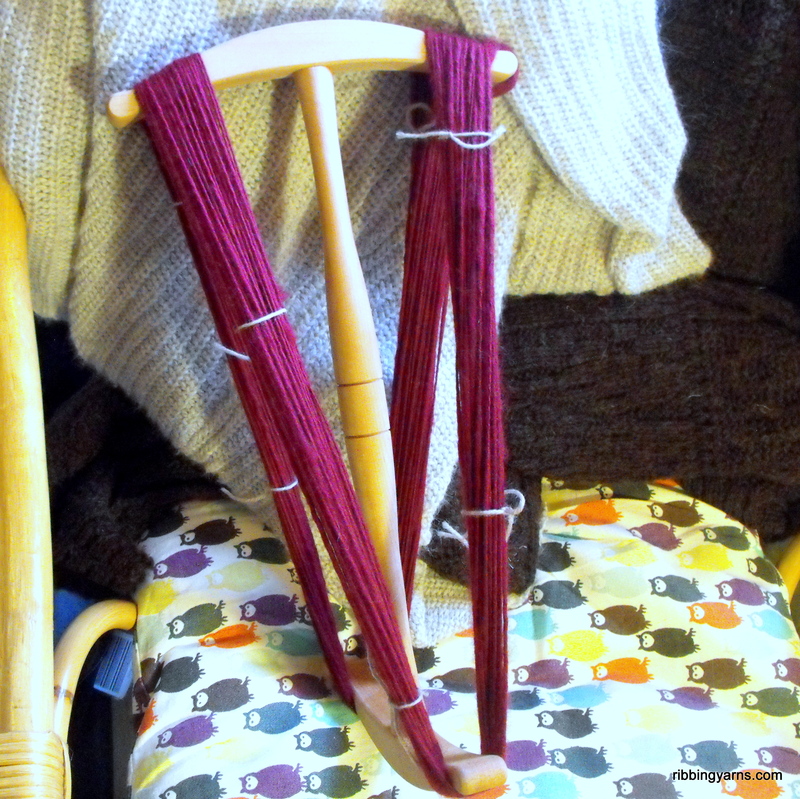 I usually wind the yarn onto the niddy noddy first and secure it in a few places with spare yarn. 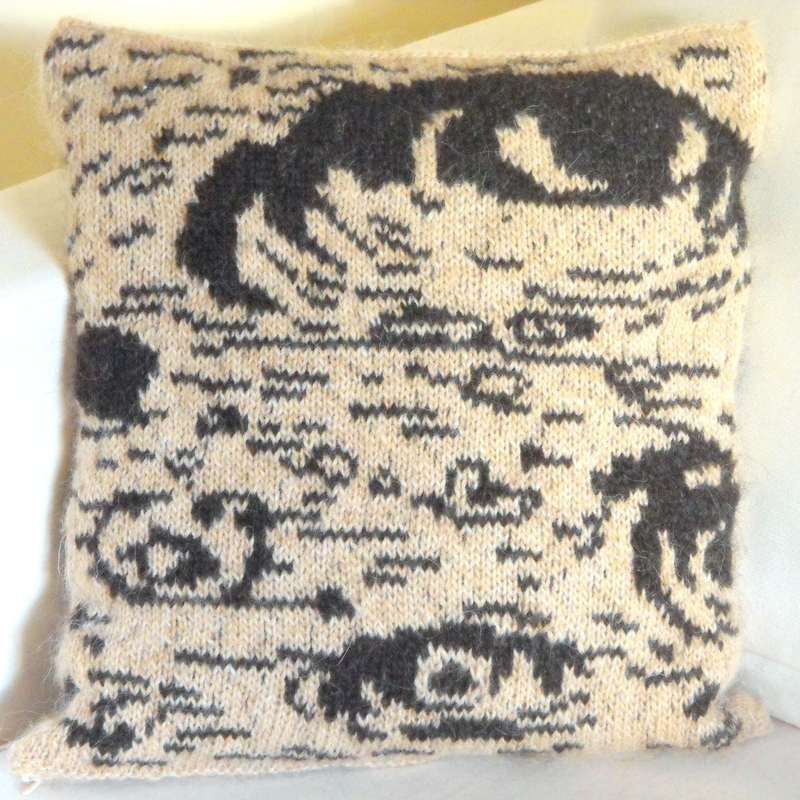 Afterwards I remove the yarn and soak it in tepid water for 15-30mins on it’s own. 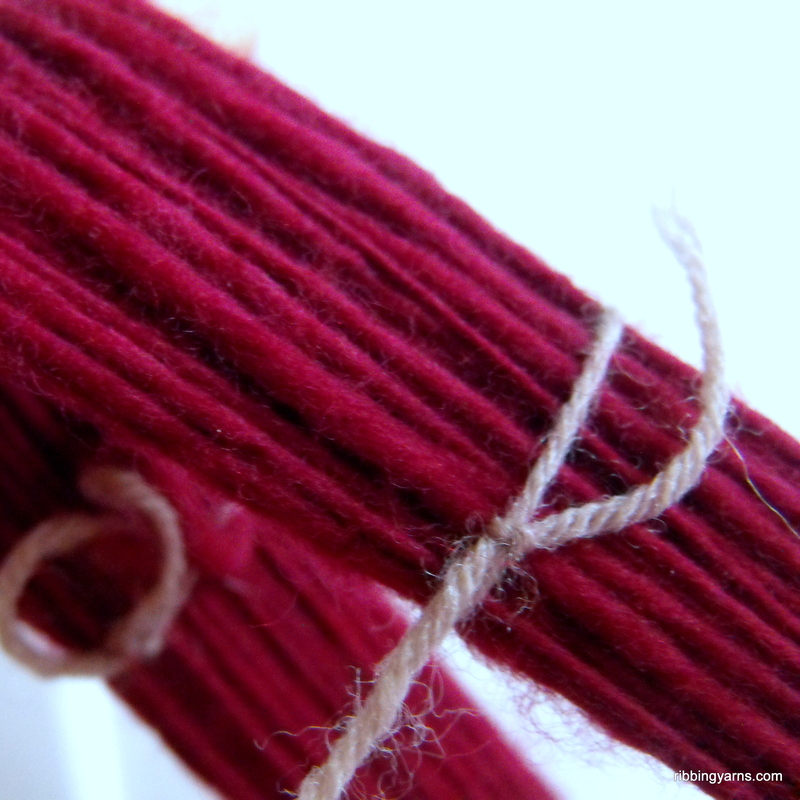 With this yarn, it was pretty twisty, so after soaking I re-stretched it over the niddy noddy and let it dry, to encourage it to straighten out. This entry was posted in Spinning, WIP Wednesday and tagged Ashford, Craft, Garn, Handspinning, Handspun, Håndarbejde, Knitting, Merino, niddy noddy, Rok, Spinning, Strik, Wool, Yarn. Bookmark the permalink. 5 Responses to WIP Wednesday: Spinathon! Gorgeous! Thanks for sharing the spinning process. I have to admit I’m completely in the dark about it but it looks intriguing. And that color! Wow!